Looking for a way to awe someone special? This splendid display of roses and lilies will indeed. 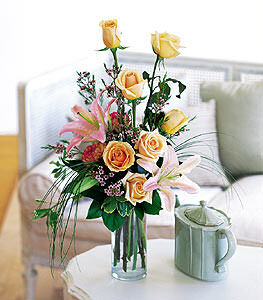 Roses, lilies, carnations and foliage in a glass cylinder vase. You are awesome. If the flowers are as good as your service, I may have to blog about it.